The Approach Tavern is traditional pub not far from Old Ford Road and Bethnal Green Station, but still quite hidden on a quiet street (what feels great in the pretty charming outside area. 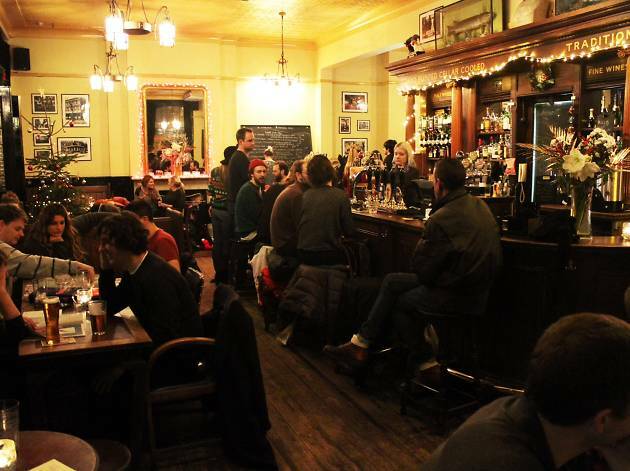 It can get very crowded as it’s really popular, but that’s because it truly is a very nice pub! Good options of beer, correct drinks and delicious food. It’s not the cheapest, but the quality of the food is amazing. The Sunday Roast is a must-try (many times, as all the options, including the vegetarian, are great). 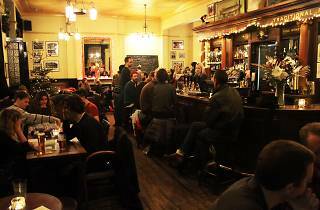 The food's great & the Tuesday quiz is good fun! This review is just for its tasteless soup. I ordered the butternut squash soup which was described well. It arrived after a while in a decent-sized bowl with two slices of toast. Man, the soup just sucked. COMPLETELY tasteless. The bread with butter was sadly the best part of the meal. I only ate half of the soup as it was a waste of calories. Not tempted to try anything else on the menu. Love this place. Good food, good booze and cozy atmosphere.